At times, it is helpful to focus on a particular aspect of the life of the faith community; sometimes, we need to take stock of the big picture; at other times, help is needed in order to serve specific groups within the parish. These resources have been developed to help you build an engaging and evangelizing community of disciples who share their gifts and faith with others. 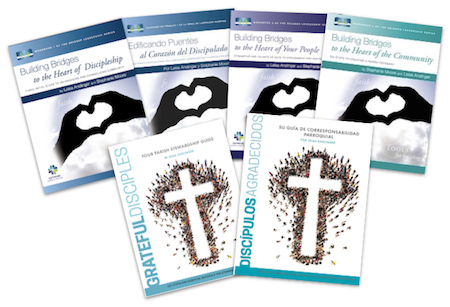 The workbooks in the Bridges Leadership Series and Grateful Disciples guide parish teams to focus on elements of parish life, step-by-step, with discussion guides, worksheet masters, and brief videos that capture the heart of the matter. Explore Bridges here, and Grateful Disciples here. Order the books at discount through the order form below or via our author page on Amazon by clicking the links below. Twenty-Third Publications invited Leisa to write her first book fifteen years ago, and Leisa is grateful for her on-going relationship with Twenty-Third as a contributing author and editor. Explore Leisa's books and resources by clicking the link below. Equipping parish leaders to bring the liturgy to life is essential if we hope to lead people to live as disciples in today's world. 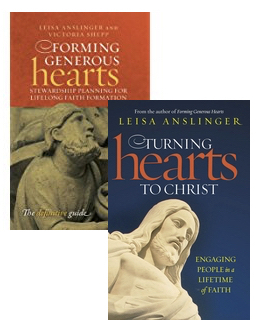 Leisa is a contributing author for resources at Liturgy Training Publications that do just that. Explore resources for leading youth to reflect on the Sunday Gospel, reflections during RCIA dismissal, and special help for couples who are planning their wedding.